Norwegian tax system - Bridging People.Bridging People. The Norwegian tax system is based on everybody paying tax according to their income, until a certain maximum limit. As an employee in Norway, it requires that you have both a national identity number (fødselsnummer) and a tax deduction card (skattekort). As a foreigner, you may also be entitled to a10% tax reduction for your first 2 years in Norway. You can apply for an ID-number at the tax office, and depending upon the time of year and the national registry’s workload, you may have to wait several weeks or months. Once you have been issued an ID number, you must return to the Tax Office and apply for a tax card. (24.5% in Finnmark and Nord-Troms counties). Social security contribution (NIS): 7.8%. We will give you two examples of engineers with different background and work experience to give you an approximate number of their salary and tax deduction. 1. Engineer A: A young engineer, 28 years old, single with 1-2 years of work experience, working in the private sector. The average salary of this type of engineer would be about 50 000€ (400 000NOK) and he would have to pay a minimum of 27% in taxes aprox. The percentage depends a lot on allowances or deductions for expenditure. 2. Engineer B: A senior engineer, 38-years old, married, with 3 kids and 10 years of experience, working in the private sector. His salary would be aprox. 81 946 € (659 000 NOK) annually, and he would have to pay a minimum of 35% on taxes, also depending a lot on allowances or deductions for expenditure. 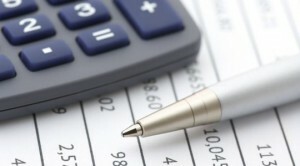 If you wish to calculate your own taxes, you can use this calculator. Or check out the different tax deduction tables. The table is based on equal amounts to be withheld during the entire year.